Image retrieved from sfu.ca on August 30th, 2013. For most baby boomers in Vancouver during the 1960s, getting high meant toking up on a marijuana joint or, for the more adventurous, tripping out on a tab of acid or a hit of mescaline. These drugs distinguished the baby boomers from their more restricted and seemingly unimaginative parents, most notable because their drugs of choice were either illegal or viewed with great suspicion. In Canada, marijuana became illegal in 1923: the law was so effective – or irrelevant – that there was only one recorded arrest for possession in the year 1965. The aura of social opprobrium that surrounded marijuana in the 1950s became part of its attraction a decade later. 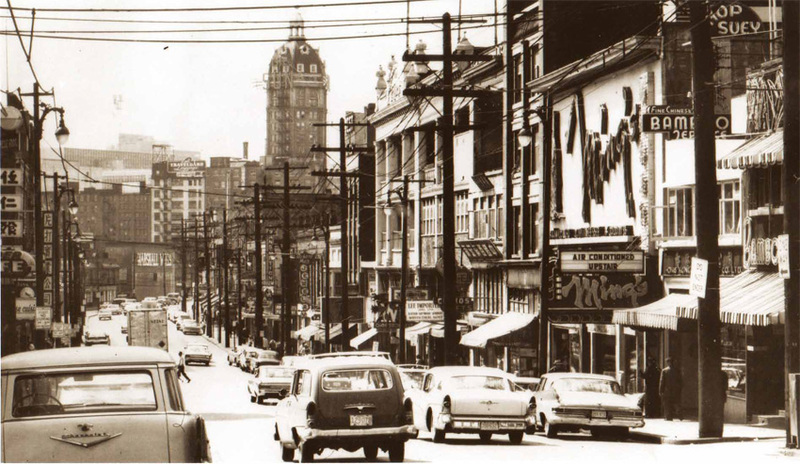 Vancouver's interest in marijuana dates back to the late 1950s. The bohemian writer Peter Trower, who spent his early days working in the logging camps of British Columbia, recalled rumours of black porters on the Great Northern trains bringing supplies in from Seattle. In the early 1960s the availability of marijuana increased with the establishment of ties to Mexican suppliers. But Trower attributed the really “big explosion” of pot usage in the mid-1960s to the large number of American draft dodgers; some came to Vancouver while others went to the hinterland to grow cannabis in the Kootenays and the Gulf Islands, and pot came to form the basis of their new Canadian identity. Through 1966, many other Robert Smiths would pursue their own California travels, returning home to tell exaggerated tales of their psychedelic experiences. That same year the American media gave Vancouverites enticing images of events in Golden Gate Park, the Trips Festival, and the antics of the Merry Pranksters. The works of Timothy Leary and Allen Ginsberg appeared in local bookstores and lent a certain literary and academic authority to the LSD lifestyle that resonated with impressionable teenagers and even some faculty members at UBC. Local psychologists noted that the age cohort and sociological profile of the local LSD user basically followed the American precedent. LSD was not a drug of “ the criminal population,” stated Dr. A.M. Marcus of the Narcotics Addiction Foundation; rather, it was “a mind expansion drug which criminals are not interested in.” And it was not the Downtown Eastside underclass that became users, but the highly educated middle class.” College students, many of whom lead lonely isolated lives, are being seduced into using LSD or other psychedelic drugs by the promises of increased creativity,” argued one Vancouver psychiatrist studying the topic. In the 1966 fall term, fourteen UBC students were treated by university health services for LSD-related symptoms, and it was estimated there were over a hundred users over all on campus. In was in this context of growing cultural polarization that Vancouver's controversial underground newspaper, the Georgia Straight, was conceived in the spring of 1967. Dan McLeod and like-minded Cultural progressives set up the paper, in part, because they believed the Vancouver Sun and Province were publishing misguided and ill-informed attacks on the drug culture. Straight writers acknowledged that there were indeed some harmful impurities in LSD being sold, but they insisted that mainstream society had equally dangerous mass consumption habits, including watching television (the Straight headlined research, sponsored by the US Congress, which showed that “T.V. Rays Cause Brain Damage”). In the end, the Straight asserted that “materialist civilization” was “hypnotized, clobbered, stoned, and asphyxiated” far worse than the Fourth Avenue counterculture. The Straight also responded to what it viewed as the exaggerated anti-drug “propaganda” campaigns in the local high schools. Cartoons parodied the “social ostracism” theme that had worked so well in the “halitosis scare” used to advertise mouthwash. The police and the “irresponsible” behaviour of Mayor Tom Campbell attracted the attention of Straight cartoonists on several occasions.